I have been a long-time advocate for water conservation, and have dedicated the last decade of my life to public service. I am passionate about the mission of MWRD and look forward to serving on the Board. During my term in office, I hope to work on 1) Expansion of the Deep Tunnel project, 2) Encouraging MWRD contractors to maintain back office functions locally within the Chicagoland area, so that our public dollars are re-invested in our community and 3) support initiatives to find uses for our wastewater, including turning it into renewable energy. Hello. 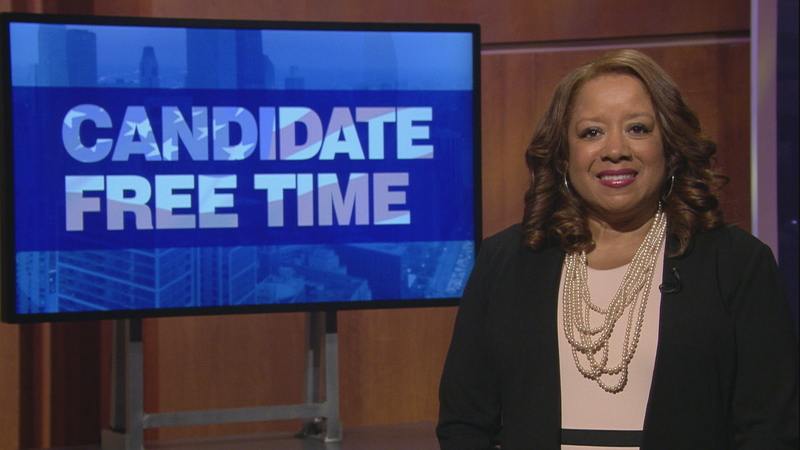 My name is Kim Neely DuBuclet and I am running for the Metropolitan Water Reclamation District 2-Year Vacancy. I was born and raised in Chicago and have lived here most of my life. I have been blessed with two wonderful children and a great husband. We have been proud to raise our children and make our home in this beautiful City. To insure we keep our city beautiful for my kids and for future generations, I hope to make a difference as a commissioner on the Metropolitan Water Reclamation District Board. The MWRD is not a well-known government agency but it is highly important as affects everyone’s daily life. The MWRD is responsible for cleaning our waste water, and protecting our fresh water supply. I am running for this office to bring a voice of environmental conservation and a continued commitment to clean water. One of the most important things the MWRD can do is to build infrastructure to prevent flooding and to help prevent dangerous runoff from entering our waterways. Like many of you, my basement often flooded when I was growing up on the south side. The MWRD has made progress, but more work needs to be done. The MWRD can also be a leader on renewable energy! We can capture organic matter and chemicals from our waste water and re-use them as fuel. These are just a couple of the things I hope to work on as a Commissioner of the Metropolitan Water Reclamation District. I currently work for the Chicago Park District. My job has given me the amazing opportunity to travel across all 77 communities in the Chicago area to see first-hand how critical it is to protect our local environment and increase our urban green space. My park district work, my time spent talking with constituents across the county combined with my previous experience as a State Legislator, where I received a 100% score on voting with the Environmental Caucus, make me an ideal candidate for the MWRD board. I hope I can earn your vote in the March 20th Democratic Primary. I look forward to meeting you out on the campaign trail!